Raymond James boosts private client revenue 9%, while Ameriprise improves wealth profits 13%. Both Raymond James (RJF) and Ameriprise Financial (AMP) beat earnings estimates for the quarter ended June 30. The two broker-dealers, which have employee and independent advisors, reported their latest quarterly results late Wednesday. 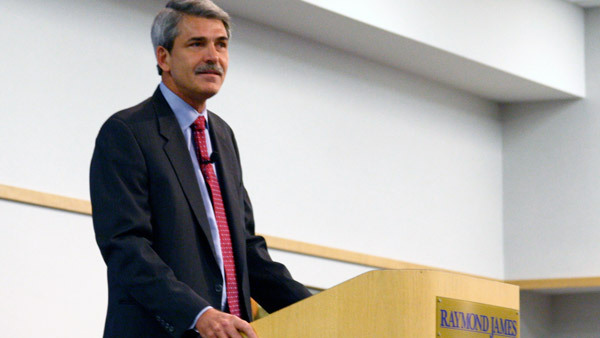 Raymond James said its net income improved 9% in the quarter ended June 30 to $133.2 million, or $0.91 per share, from $122.7 million, or $0.85 per share, a year earlier. Net revenue was about $1.3 billion. The Private Client Group had net revenues of $892 million, a 9% jump from a year ago, and quarterly pretax income of $86.4 million, a 6% year-over-year improvement. The unit’s assets under administration were $475.4 billion, up 5% from a year ago and 1% from the earlier quarter. Fee-based assets (at 39% of AUA) stood at $186.2 billion on June 30 — a jump of 11% from a year ago. The number of financial advisors in the company is 6,507, a gain of 256 reps from last year and 123 from the earlier quarter. “Our success in retaining and recruiting financial advisors in an intensely competitive environment validates the attractiveness of our platform, which provides a unique combination of a client-focused culture enabled by a full-service product and technology offering,” said Reilly. Based on the PCG’s past 12 months of fees and commissions, which total roughly $2.914 billion, the advisors have an average production level of $447,800 for the year ended June 30. In the June 30 quarter, Ameriprise had net income of $415 million, or $2.23 per share, up 17% from a year ago, on sales of $3 billion. Advice & Wealth had revenue of $1.3 billion, up 6% from a year ago, and pretax net income of $220 million, a year-over-year jump of 13%; the unit’s pretax margin was 17.3% as of June 30. Total retail client assets were $453 billion, “up more than $18 billion from the prior year driven by client net inflows, new client acquisition and market appreciation,” according to Ameriprise. The company’s financial supplement for Q2’15 shows it has 9,721 advisors — of which 7,639 are independent or franchisee reps and 2,082 are employee FAs. The total figure is up slightly for 9,672 as of March 30 and 9,692 a year ago. “This was one of our best quarters for recruiting. We’re bringing in more productive advisors in a very competitive marketplace, with 93 new experienced advisors joining the firm in the second quarter, with strong average productivity per recruit across both channels. And our ongoing pipeline also looks strong,” Cracchiolo said on a call with equity analysts (transcribed by Seeking Alpha). — Check out TD Ameritrade Tops Estimates, Cites ‘Breakaway Brokers’ as a Factor on ThinkAdvisor.